“If you purge it, Jay will burn it. There’s more than one IRS, and Jay Critchley’s International Re-Rooters Society (IRS) collects things only to remove them. 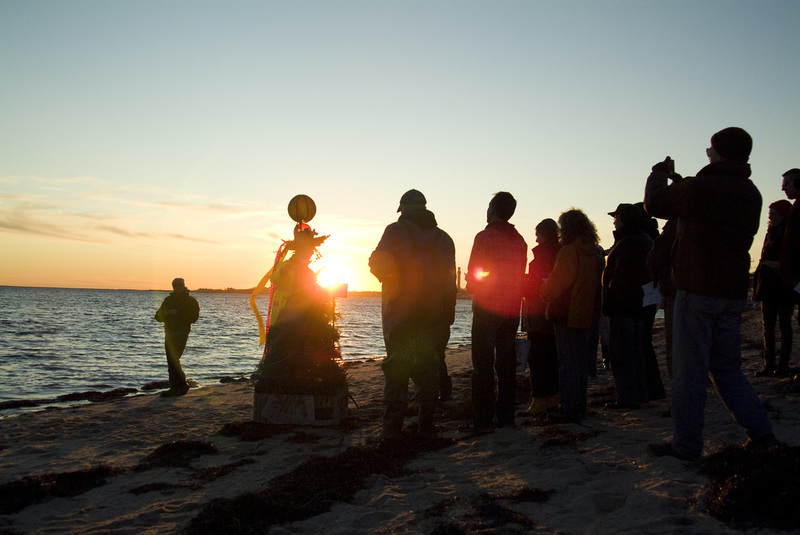 Each year, the artist includes the public in a personal ceremony to discard the objects and experiences that prohibit them from a deeper connection with the earth and human life, and to “re-root” themselves to the earth. 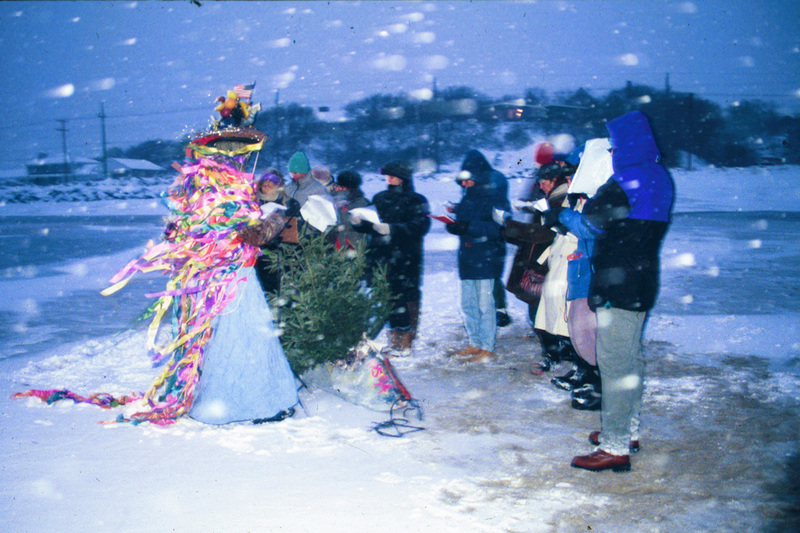 This post-Christmas, post-consumption, environmental movement got its start in 1983, when Critchley created a forest of discarded Christmas trees at the Provincetown Dump. 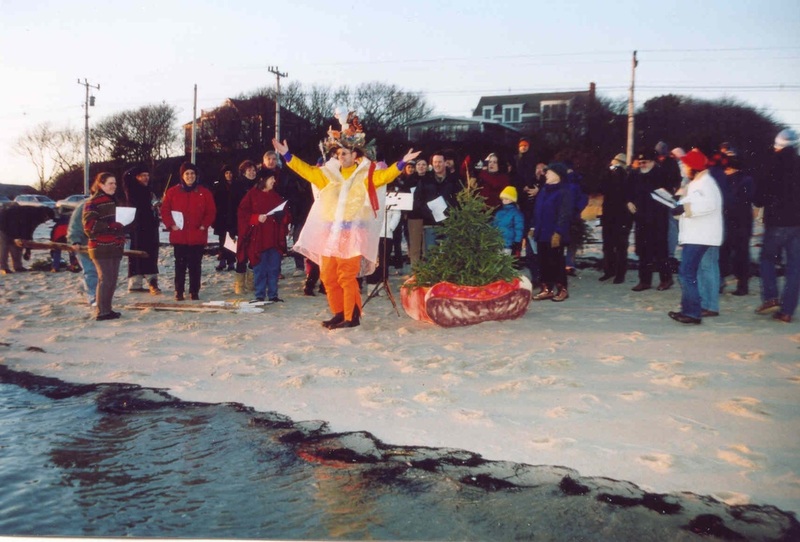 More than 30 years later, the annual community ritual is performed on Provincetown’s harbor on January 7, a purging of political and personal distress from the year gone by. Each Re-Rooters Day Ceremony is accompanied by a hot button political theme (1999’sSports Futility Vehicles; 2013’s Pistol Cliff) and the ceremony is performed by Critchley himself, with song, ranting, and a call and response structure that mimics many religious rituals. 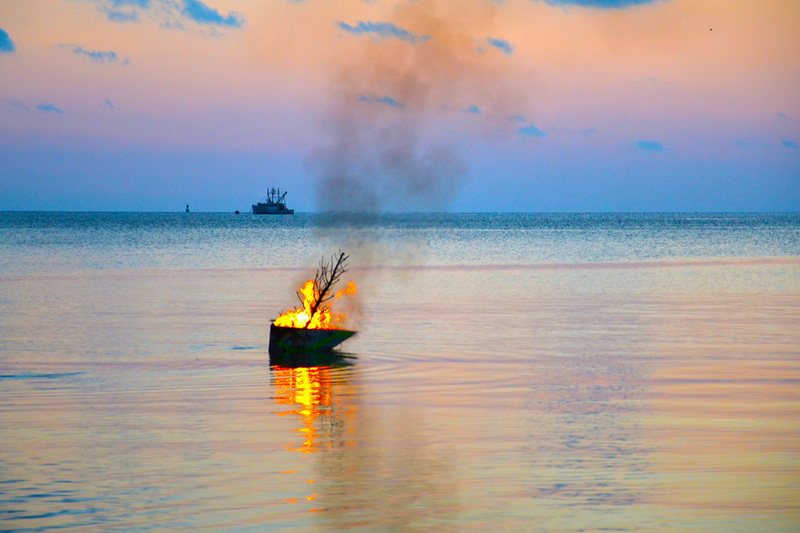 The rite concludes with the dramatic burning of a discarded Christmas tree on a makeshift boat, sent out into the harbor at sunset.